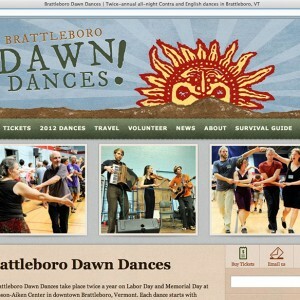 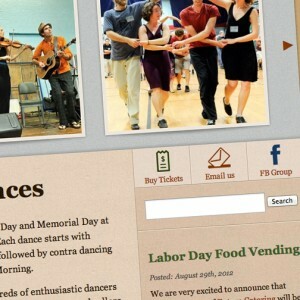 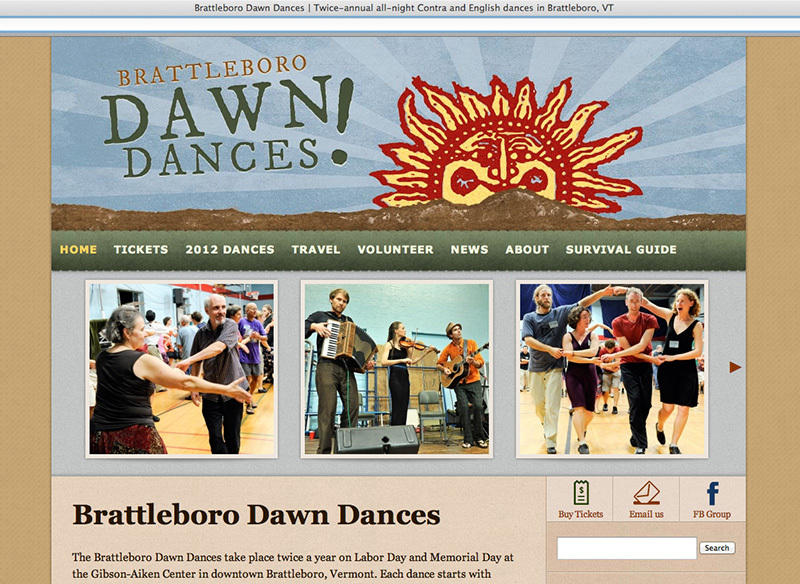 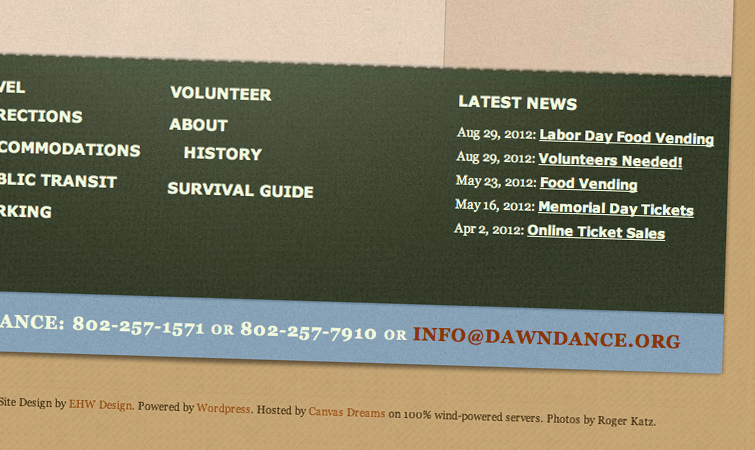 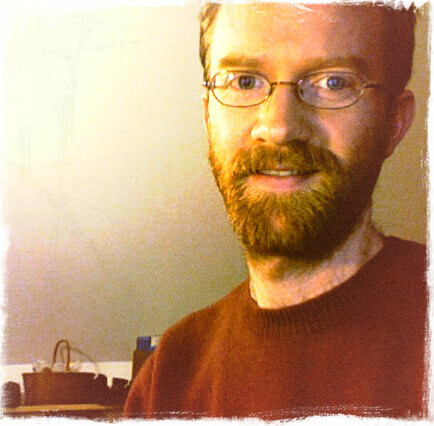 I redesigned the web site for the Brattleboro Dawn Dance, a twice-annual all-night contra dance event. 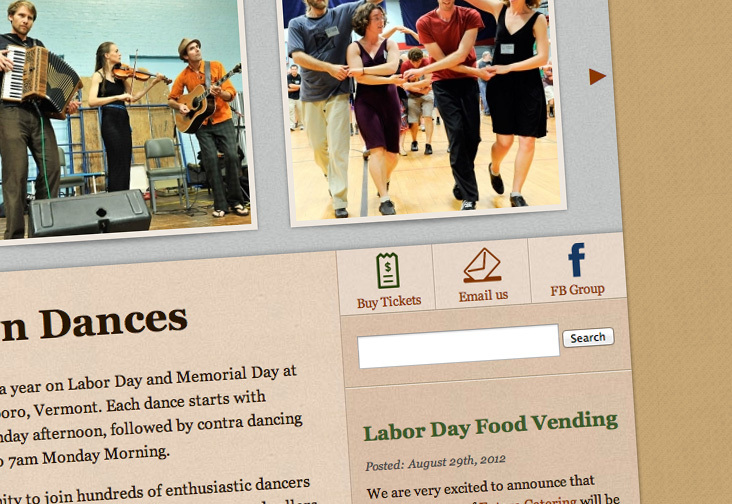 The new design features a textured look and earth-tone color scheme, with shadows and text beveling to give the layout a sense of depth. 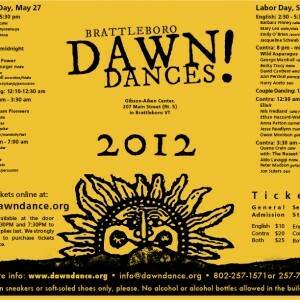 I incorporated a sun logo which the Dawn Dance has used for many years and which is based on a wood block print by Mary Azarian. 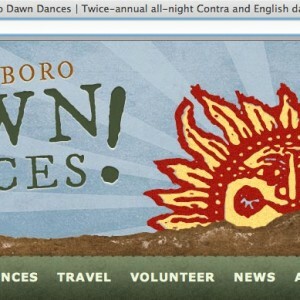 The site includes online ticket sales, posts for news and updates about the events, a schedule of performers, email list integration, and a drop-down menu structure. 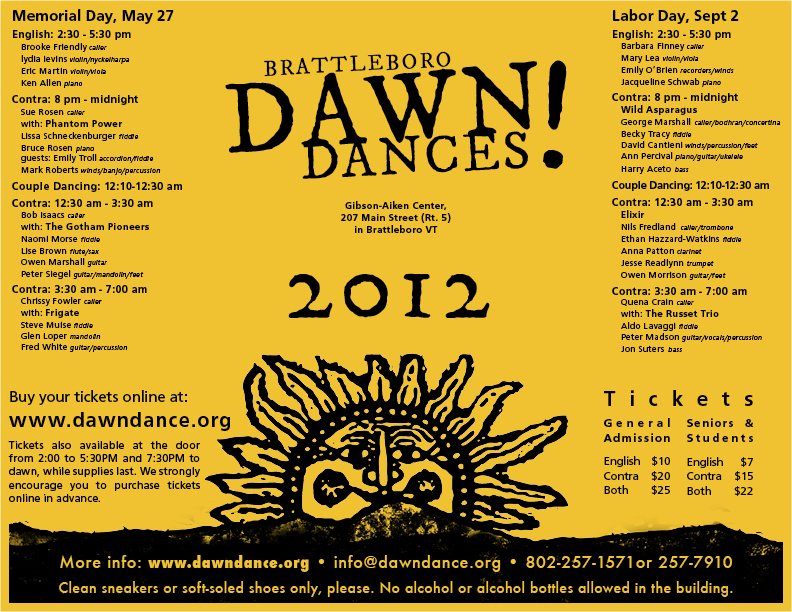 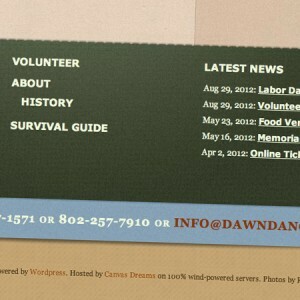 I also created a new poster design for the Dawn Dance in 2012 with the logo and fonts similar to the new web site design.